While food donations are vital, the majority of the food distributed each week is actually purchased from Food Gatherers. Costs vary throughout the year depending on subsidies and grants, but now exceed $74,000/year. Funding from St Clare’s, and Temple Beth Emeth underwrites about 20% of this total. The other 80% comes from generous donations from individual, local businesses and fund raising efforts. 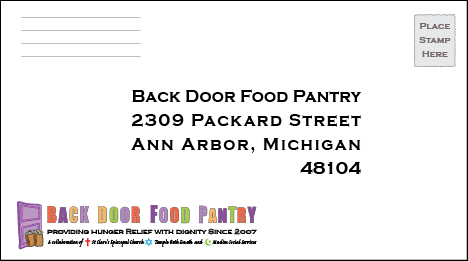 100% of your donation goes to purchase food distributed at the food pantry. Thank you very much for your support!